BLOCK is used to create temporary rooms in schools, offices and public buildings. 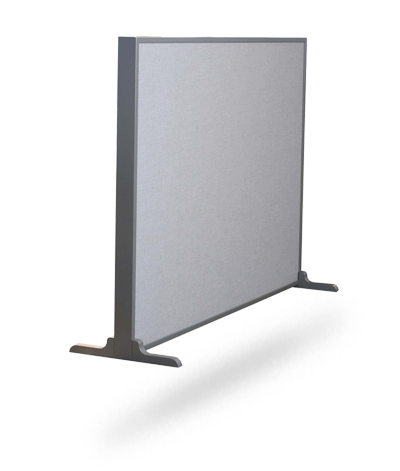 BLOCK has a 40 mm sound absorber on each side for good sound absorption and wood material in the middle for stability. BLOCK measures 1500 x 2000 x 100 mm in order to reduce sound propagation but also to create the feeling of a wall. The absorption material is made of our unique core material EcoSUND®. BLOCK is produced with Hush or Blazer Lite fabric. The fabrics are selected so as not to leave pin marks if the user wants to attach documents to the screen. The frame is made of lacquered poplar wood and the feet keep the screen stable.